Meldonium for sale under the trademark Mildronat. 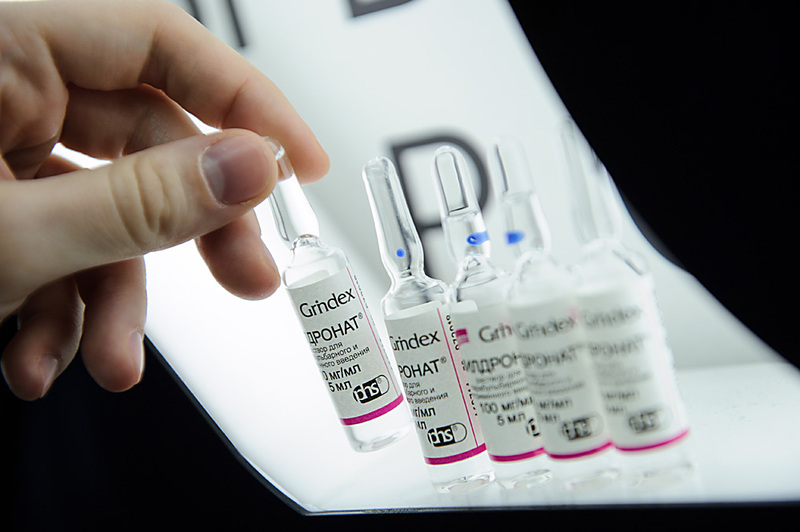 The drug, manufactured by Grindeks, is used in heart disease therapy. Meldonium was added to the World Anti-Doping Agency's banned list on January 1, 2016. The World Rugby organization exonerated Alexei Mikhaltsov, who tested positive for the prohibited substance meldonium, head of Russian Rugby Federation's elite rugby department Dmitry Afinogenov told Interfax. "All sanctions against Mikhaltsov have been lifted. We received a notification today, and from this day he has been cleared of all restrictions on participation in competitions," Afinogenov said. Word Rugby announced the decision to temporarily ban Russian rugby players Alyona Mikhaltsova and Alexei Mikhaltsov from competitions due to traces of the prohibited substance of meldonium in their doping tests on March 12. Mikhaltsov was suspended from competing starting February 4, 2016, and Mikhaltsova was suspended starting February 26, 2016.